This entry was posted in pasta and tagged delicious, dinner, food, foodporn, lunch, recipe. Bookmark the permalink. Wow! I think I am going to try to make this. Thanks for posting! My absolute favorite dish ! This is the way I like it too! Looks delicious. Definitely going to make this ! This is the first time in my life I see a REAL carbonara from someone not italian! I’m almost crying from joy, thank you!! 😀 Sometimes even in Italy we discuss about when to add the egg, btw! You do this very well. Definitely worth a follow! Good wishes. You have a nice photography skills! Even though you use phone camera, it still looked amazing! i’m jealous! This looks so good! I don’t eat meat, but I bet this would be just as good without the bacon. Also, in your “About Me” section, you say your photos aren’t that good, but I think your photos and dishes are beautiful! Thanks for this. Years ago someone showed me how to make this minus the bacon – have’s never been able to duplicate the taste. Now I know why – egg yolks ratherc than whole eggs. As someone who prefers fish to pork, I’ll make this with smoked salmon, or sundried tomatoes in place of bacon. Mmmm yummy! I loved reading about the history of this dish! Cool! 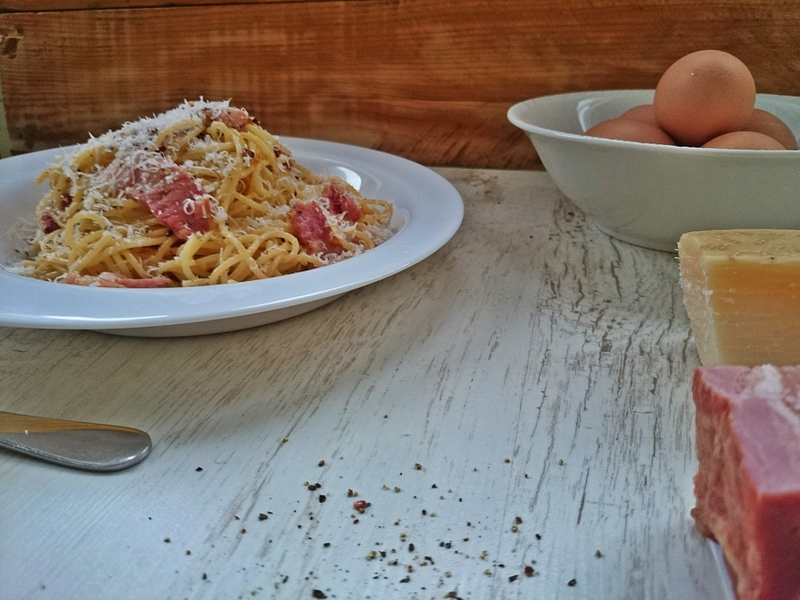 I make non-traditional carbonara all the time but you’ve inspired me to try this recipe – sometimes paring down the ingredients really makes them shine. Looks great! Love the history. I have always made mine with one egg and a little cream, otherwise the same…so good! 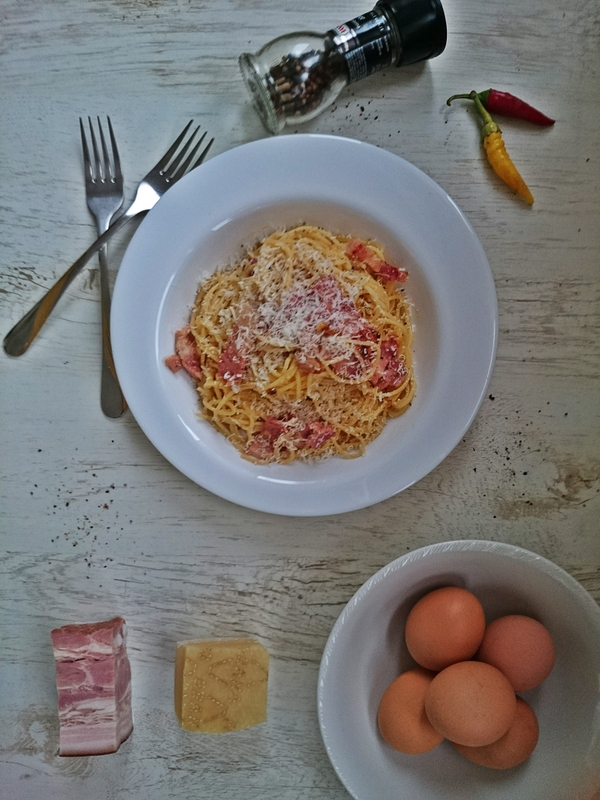 Looks just like the Romani style carbonara I had in Rome! Yum! AUTHENTIC RECIPE! 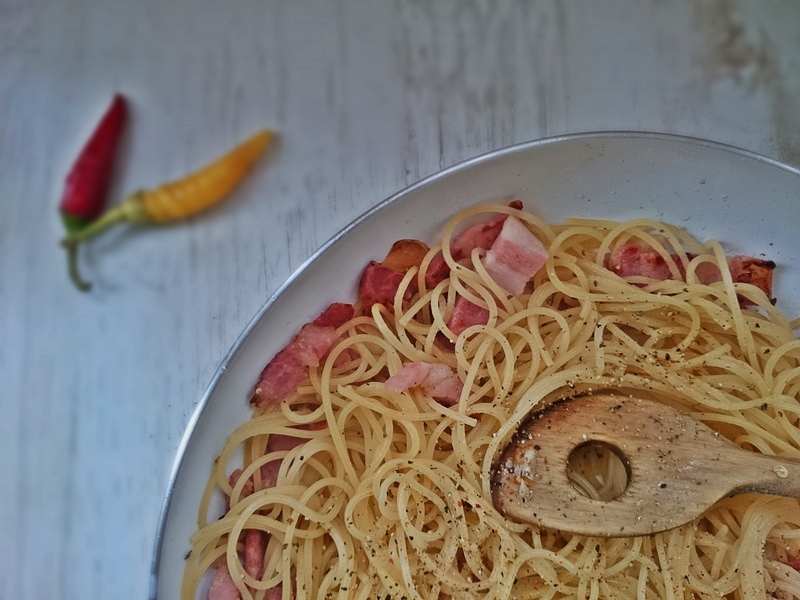 Simple & Delicious Pasta Carbonara by Mios. Che Bella!